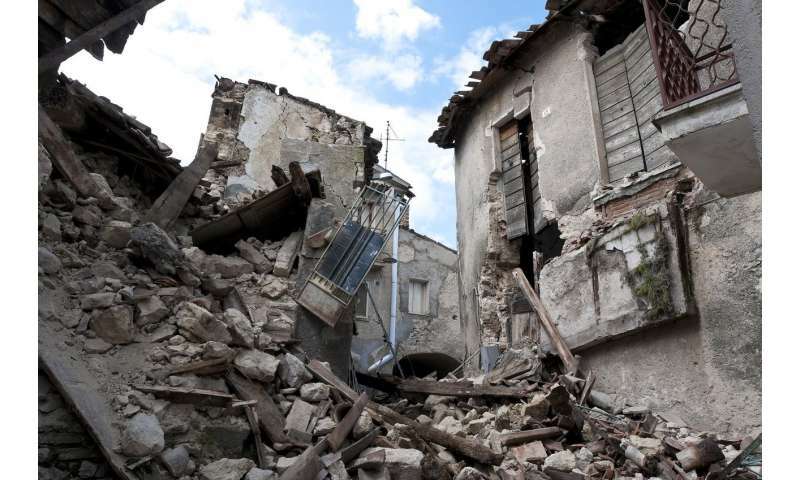 A team of researchers with Harvard University and MIT has used neural network technology to detect earthquakes, and found it to be more accurate than current methods. The group has published a paper describing their work on the open access site Science Advances. In order to learn more about earthquakes toward being able to predict them, scientists study earthquakes that have already happened. While it is relatively easy to detect large earthquakes, especially those that occur near human-populated areas, it is much harder to detect small ones and those that occur in remote places. Notably, smaller earthquakes have become much more common in some areas due to fracking, but because the practice is still relatively new, little is known about them. The means by which scientists detect earthquakes, other than by actually feeling them, is via seismic detectors that detect ground movement and plot it on a graph. But such detectors do not always show the difference between normal ground movement and small quakes—and there are a lot of small quakes. Southern California, for example, has approximately 10,000 each year. In this new effort, the researchers taught a deep learning neural network to read seismograms and then how to tell the difference between routine ground movement "noise" and earthquakes. They then fed the system data from small quakes in Oklahoma (which has seen a rise in small quakes due to fracking) from a time before fracking began and compared them with more recent times. The neural network, which the team has named ConvNetQuake, identified 17 times more quakes than were recorded in the Oklahoma Geological Survey earthquake catalog. Detecting earthquakes is all well and good, but what everyone really wants is a system that can predict them. The researchers behind ConvNetQuake do not suggest their system will ever be able to do so, but note that it could be used to learn more about earthquakes—reliably detecting them offers more data to study. Also, it could one day be used as part of a larger system to offer some degree of warning. Not all earthquakes that cause death and destruction are centered in the areas where they cause harm. The earthquake that impacted Mexico City last September, for example, was centered nearly a hundred miles away. A system able to reliably detect the earliest rumblings and relay them instantly to officials in populated areas could save hundreds if not thousands of lives. The recent evolution of induced seismicity in Central United States calls for exhaustive catalogs to improve seismic hazard assessment. Over the last decades, the volume of seismic data has increased exponentially, creating a need for efficient algorithms to reliably detect and locate earthquakes. Today's most elaborate methods scan through the plethora of continuous seismic records, searching for repeating seismic signals. We leverage the recent advances in artificial intelligence and present ConvNetQuake, a highly scalable convolutional neural network for earthquake detection and location from a single waveform. We apply our technique to study the induced seismicity in Oklahoma, USA. We detect more than 17 times more earthquakes than previously cataloged by the Oklahoma Geological Survey. Our algorithm is orders of magnitude faster than established methods.